Today’s schedule includes four games with two No. 1 seeds hoping to stay alive in the NCAA Tournament. The action gets underway at 7:09 PM ET at Honda Center in Anaheim, Califonia, where top-seed Gonzaga meets No. 4 seed Florida State will meet in a rematch of last season’s Sweet 16, which was won by the Seminoles. Live coverage of this West Region round of 16 game will be on CBS, while NCAA.com will provide live online streaming coverage for those who are on the go. The Bulldogs (32–3) booked their place in the Sweet 16 with wins over Fairleigh Dickinson and Baylor in the first and second round. Florida State (29-7), meanwhile, brushed aside Vermont and Murray State in the earlier rounds and will be hoping to do a repeat over Gonzaga for a second consecutive year. 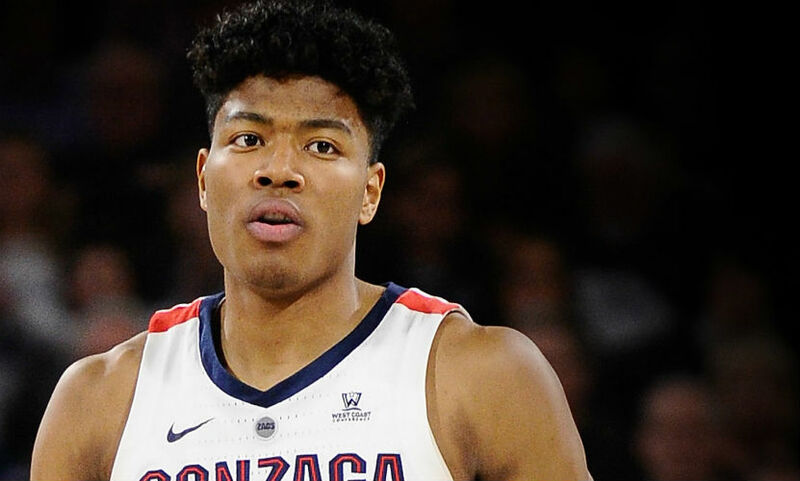 Gonzaga comes into this game averaging 88.6 points per game and giving up 60.0 at the other end, while the Seminoles are scoring 75.4 PPG and allowing 65.5 PPG. Florida State could be without Phil Cofer, who missed the first two games of the tournament because of a foot injury. He is also dealing with the death of his father, who had died after a long illness. “We’re going to respect Phil during this tragedy and the passing of his father,” FSU coach Leonard Hamilton was quoted as telling Jon Rothstein of CBS Sports. The other No. 1 seeded team in action on Thursday is Virginia, which faces Pace-12 Tournament champion and the 12th-seeded Oregon at KFC Yum! Center in Louisville, Kentucky. Coverage of this game is at 9:57 PM and it is live on TBS. NCAA.com is also providing online streaming coverage. Oregon enters this game with a just a 7.0 percent chance of beating Virginia (31-3), according to ESPN’s Basketball Power Index. The Ducks (25-12) come into this game on a 10-game winning streak and could be very difficult for the Cavaliers. Virginia, in the meantime, looks confident so far in the tournament, but coach Tony Bennett has been busy preparing his team for the tougher fixtures. The Cavaliers were dumped from the tournament in the first round last season and started a little shaky against No. 16 Gardner-Webb this season before erasing a 14 point deficit in the first half to win that game. Also in action in the Sweet 16 today are the clashes between No. 2 seed Tennessee and No. 3 Purdue at 7:29 PM on TBS at KFC Yum! Center, as well as the second-seeded Michigan battle against No. 3 seed Texas Tech at Honda Center at 9:39 PM.